Choosing a child care facility for your child is obviously a very important decision. Perhaps the first and arguably most important piece of advice in such a situation is not to rush the decision. There are some superb nurseries around, but research is extremely important. Day nurseries – rather than nursery schools – are normally privately run for children who are aged between three months and five years old, although there are also usually a number of community and local authority nurseries. 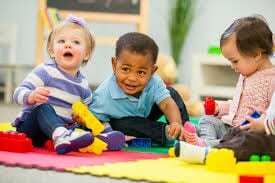 Day nurseries are run for the purposes of child care but still generally follow a curriculum for three- to five-year-olds, with normal hours being from eight o’clock in the morning to six o’clock in the evening all year round, save public holidays. Nursery schools usually operate only during school terms and will take only children aged between three and five. Ask other parents for their recommendations, and take note of your first impressions.